Revolutionary Uranus will force an uncomfortable calm when it goes retrograde on August 11, 2019, keeping us from making the important changes we felt brewing beneath the surface. 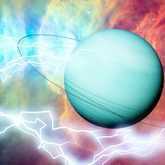 But when Uranus turns direct five months later on January 11, 2020, all of those urges we had been suppressing for that time will erupt on a personal and global scale. 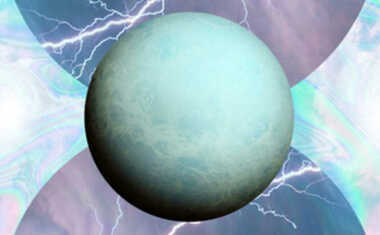 Uranus is the planet of shocks and surprises, but it was inhibited while in retrograde. It's been a period of relative quiet, but when it's direct we may experience both brilliant and disturbing ideas and events. Uranus in Aries represents sudden and unexpected events, including wild weather and political uprisings -- all of which we've seen during its time in this sign. So if you think the past five months have been chaotic, you ain't seen nuthin' yet. Get ready and brace yourself for more of the unexpected now that Uranus is moving into the sign of Taurus. This is all part of the transformational times we're living in, and as frightening as it may be, such change is needed to redirect humanity toward a better future. Here we go!